Salt Creek Spa is opened Monday to Sunday between 09:00 and 24:00. You’ll find your bathrobes and slippers on your room when you’ve checked in. Towels is available down at the Spa-reception. 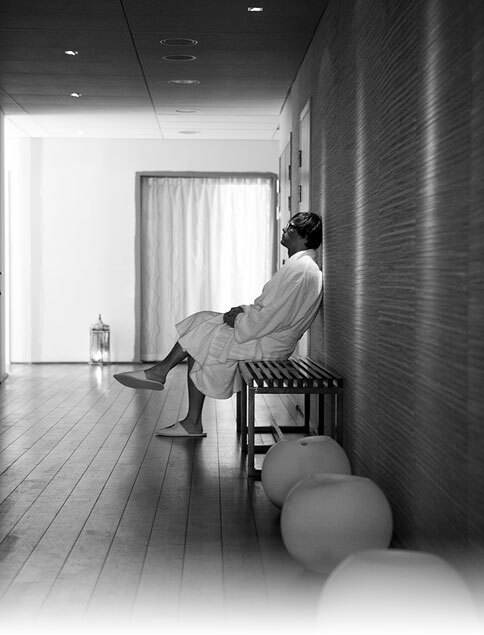 You don’t have to report your arrival in the Spa reception before you enter Salt Creek Spa – Although, if you’ve booked a treatment you have to report 15 min in advance. This is also the case if you’ve booked The Creek Experience. If you wish to do a booking inquiry for treatments, please do this in the form below. If you wish a treatment during your overnight stay we ask you to state your booking number, the name that the room is booked in, your name and phone number. Your booked time for treatment is confirmed and binding from the moment you receive a separate booking confirmation from us. Cancellations later than 24 hours before appointment will be fully charged. Note that e-mail conversations or filling in the form with preferred times does not mean an automatic confirmation. We always try to satisfy your requests in every way we can. If your request comes in time we’ll have a better chance to book your treatments close to each other and/or the specific treatment you want.